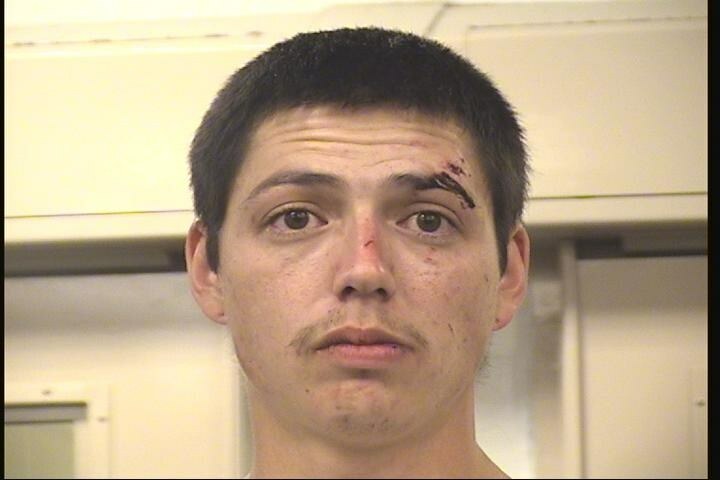 Sean York was arrested after being caught in a stolen vehicle and having two firearms in his possession. Sean York, 27, was arrested and charged with Receiving/Transferring a Stolen Vehicle, Felon in Possession a Firearm, Aggravated Eluding, and Aggravated Assault on a Peace Officer with a Deadly Weapon. On 03/17/2017, Albuquerque Police Department Southeast Area Command officers were conducting random patrol in an area known to have stolen vehicles. An officer located a gold 1998 Toyota Camry that was previously reported as a stolen vehicle in the area of Bell and Charleston. Officers observed this vehicle then pull into 344 Grove St SE. Several officers arrived and began giving the male driver, who was later identified as Sean York, verbal commands to exit the vehicle. Officers gave York several opportunities to exit the vehicle to which York ignored. York then made the decision to drive the stolen vehicle out of the parking lot at a high rate of speed towards an officer who was able to run out of the way of the fleeing vehicle. Officers did not pursue after the vehicle however the air support unit was overhead and observed the vehicle leave the area at a high rate of speed. The air support unit observed the stolen vehicle crash at Mesilla and Zuni where York decided to run on foot from the crash. Officers arrived to the area quickly and located York as he was trying to slip through a fence but got stuck. Officers were able to get him into custody without incident. As officers were patting him down they located an empty holster in York's waistband. Officers also located a loaded handgun near the fence where the officers located York. During the search of York's belongings they also located a second loaded handgun in York's backpack. York was charged with Receiving/Transferring a Stolen Vehicle, Felon in Possession a Firearm, Aggravated Eluding, and Aggravated Assault on a Peace Officer with a Deadly Weapon. York is currently still being held at MDC. Southeast Area Command officers did an outstanding job getting York into custody safely and without incident after many bad decisions made by York that night.